The Cent$ible Nutrition Program (CNP) in Natrona County works with many partners and agencies to make healthy community changes. 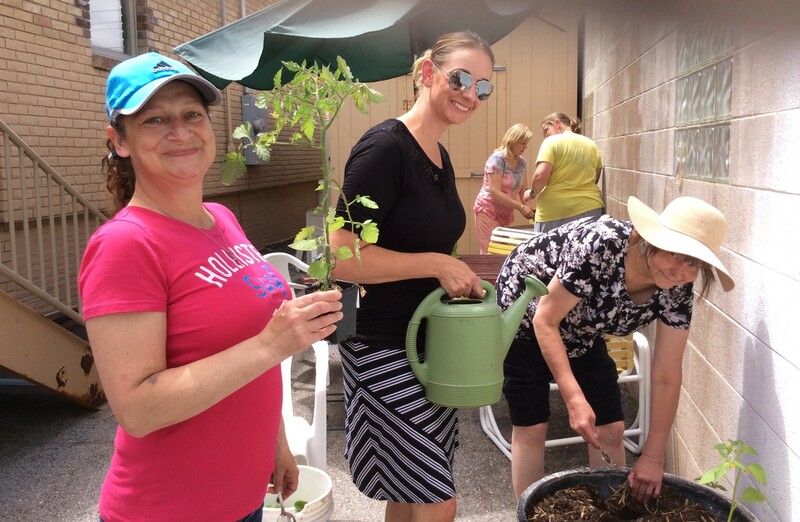 This spring, Natrona County CNP worked with two partners, the Central Wyoming Rescue Mission (CWRM) and Wyoming Food for Thought Project (WFTP) to start a garden at the CWRM. The CWRM provides resources and shelter to homeless individuals and families for short and longer-term durations, meals to anyone in need, and mentoring programs in Natrona County. It is a nonprofit organization relying primarily on donations, including food donations from local food pantries and businesses. WFTP is a local nonprofit that aims to find local solutions to hunger. One of its projects is growing food locally through community gardens. Natrona County CNP has worked with WFTP on several projects. 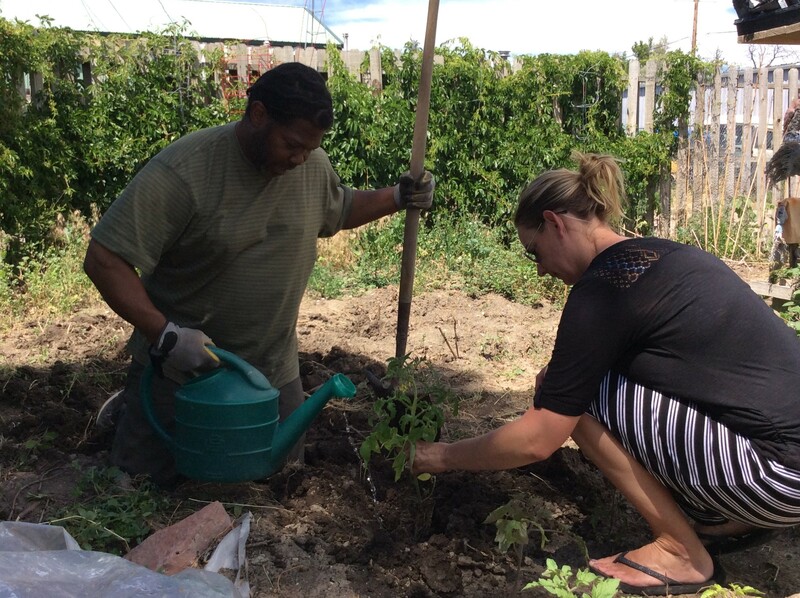 This spring, Natrona County CNP educator, Crystal McFadden, ended a nutrition education lesson series with CWRM clients by taking them to the CNP Teaching Garden where they planted onions, strawberries, basil, and cilantro. The time in the garden sparked an interest in the participants, which lead to a new project for the CNP-CWRM partnership. 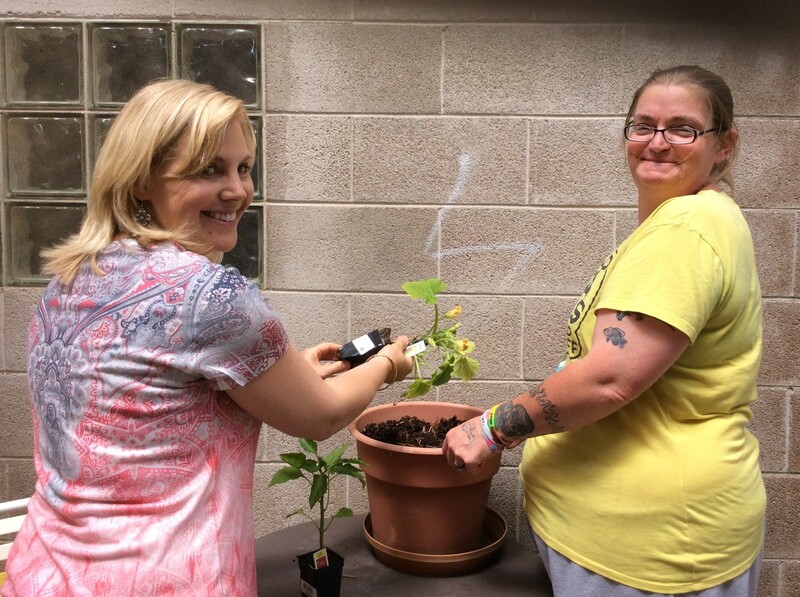 The men's unit at CWRM had a garden area that hadn't been used for several years, so McFadden reached out to Wyoming Food For Thought Project (WFTP) to see if they could help. WFTP donated a big box of starter plants – cucumbers, pumpkins, tomatoes, peppers and Natrona County CNP donated squash seeds to plant. McFadden and fellow Natrona County CNP educator Krista Brown helped participants get the garden plot cleaned up, work the soil, and plant the starters and seeds. Through this garden, the CWRM will have access to fresh produce at their Mission home all summer long, where they rely heavily on food donated from food pantries around town and does not always include fresh produce. Through these efforts, the garden will help provide more vegetables and increase the food available at the CWRM.